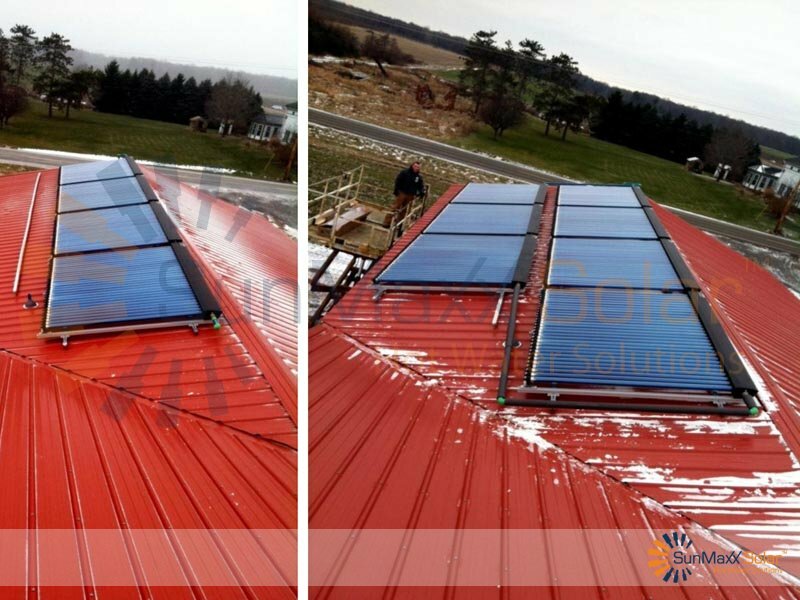 The project was contracted by Matt Beres at Simply Solar Systems who designed and installed the system after a faulty wood and fuel oil heating system burned the vegetable farm’s repair shop to the ground in the fall of 2010. When Brightly Farms’ new shop was being designed, a key component was the heating system. 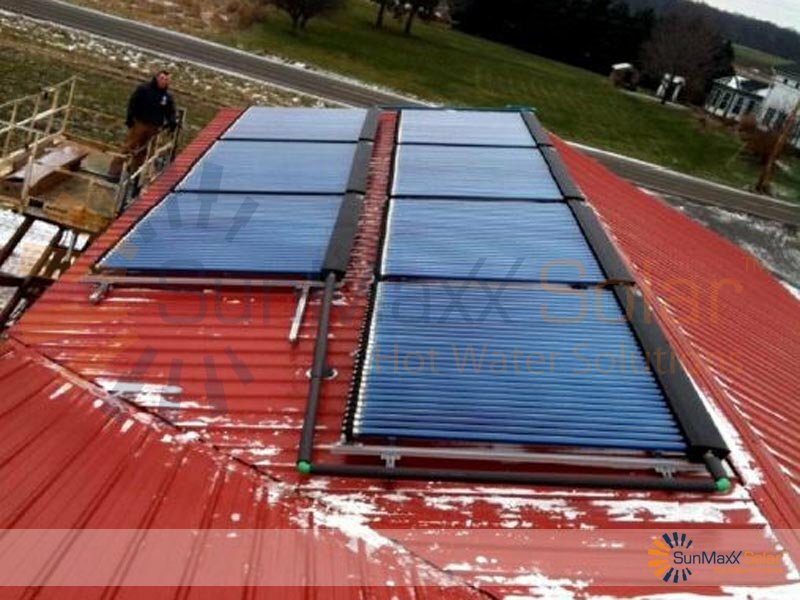 Simply Solar Systems approached Brightly Farms with the option of adding a solar thermal system from SunMaxx Solar to supplement their heating and hot water needs. The farm chose radiant floor heating throughout the entire concrete floor of the 10,400 sq. ft. building. Brightly Farms was pleased to purchase a SunMaxx Solar drainback system from Simply Solar Systems that would supply 100% of their hot water needs and about 70% of their heating needs. 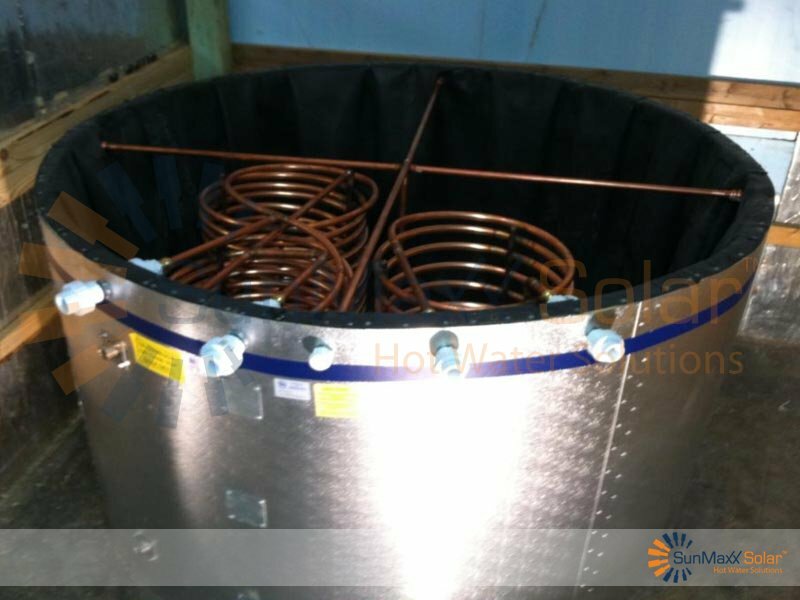 The system is composed of an 822 gallon non-pressurized storage tank with two heat exchangers: (2) 200′ coils for the radiant floor and (1) 100′ coil for the hot water. 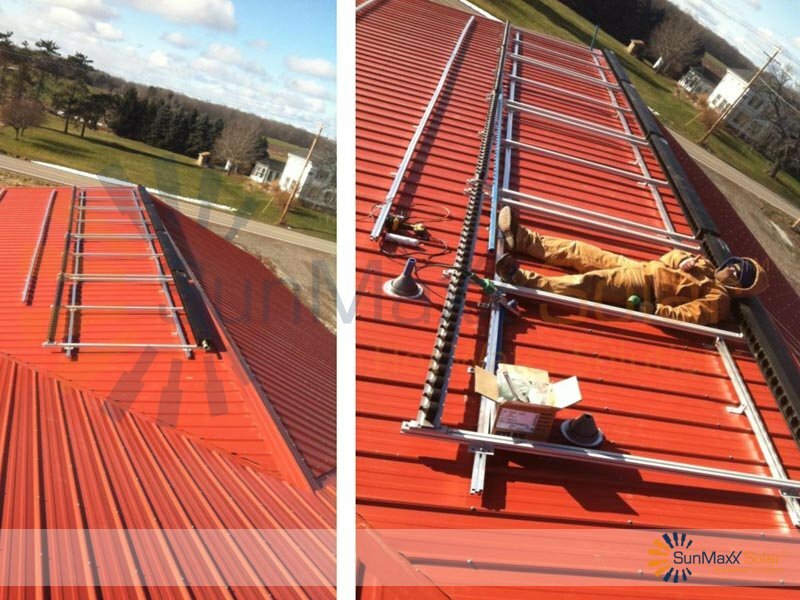 The drainback system was plumbed into the heating system using copper, plumbed into the domestic hot water using Pex, and plumbed into the solar collectors using Aquatherm piping. 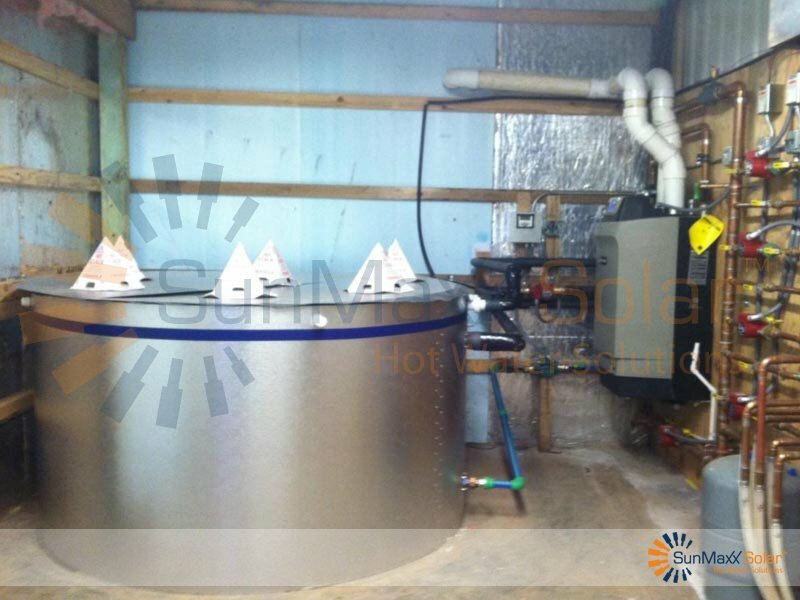 The solar collectors used were the VHP-30′s (Vacuum Heat Pipe, 30 Tube). 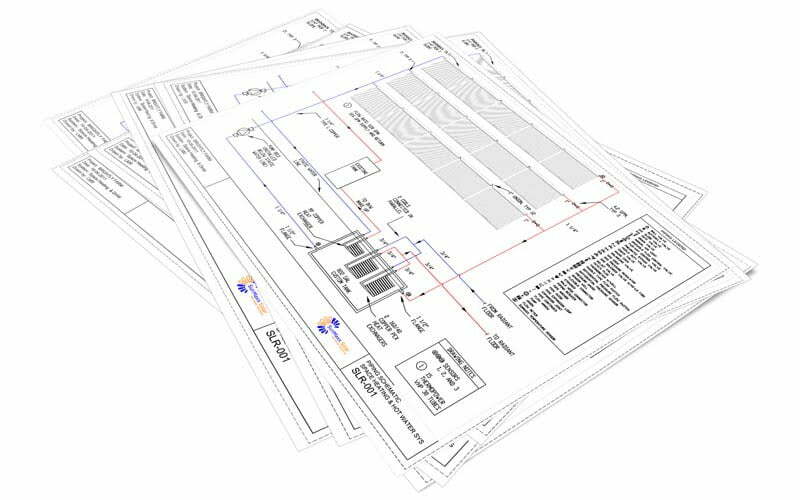 Fourteen collectors in total were used in this job to maximize efficiency of the system. Located in Hamlin, NY, Brightly Farms cultivates a wide array of vegetation including apples, pumpkins, cabbage, and melons. SunMaxx Solar is proud to announce that the installation by Simply Solar Systems using SunMaxx Solar products on the farm’s property is greatly reducing the carbon footprint of the farm, further aiding in reaching its agricultural green energy initiatives.